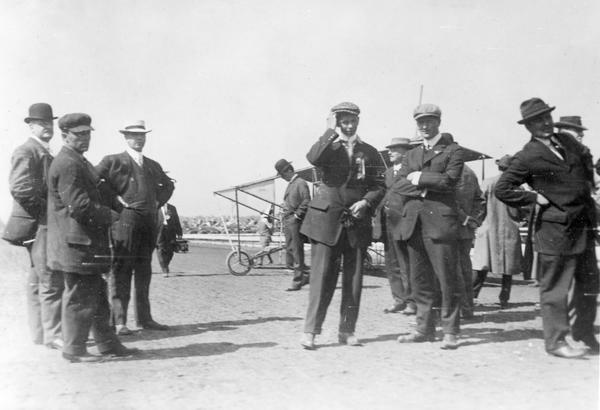 John Kaminski and his Curtiss pusher were scheduled to fly at the 1912 Wisconsin State Fairgrounds in Milwaukee, along with several other Curtiss aviators and Farnum Fish in his Wright Flyer. Only recently licensed and relatively inexperienced, Kaminski was unable to get aloft on his first attempt. Here he is apparently embarrassed by his difficulties.